Stephen Levine, insight meditation teacher and author of several books, including Who Dies and A Year to Live, has worked with grief for decades. Like the Buddha, who pointed out that we will inevitably suffer if we are born into a human body, Stephen tells us that grief too is inevitable. And because it is universal, he sometimes refers to it as “The Grief,” a shared experience that goes beyond the personal. This week our grief for the suffering of the world intensified with the Paris attacks. We have also felt anger, helplessness, fear, and a wish for revenge. These are all natural human emotions. But we also know the corrosive effect of giving in to anger and hatred. We know from personal experience that acting from these emotions only leads to more of the same. Yet how do we deal with the suffering that we see both near and far away? How can we keep our hearts open? 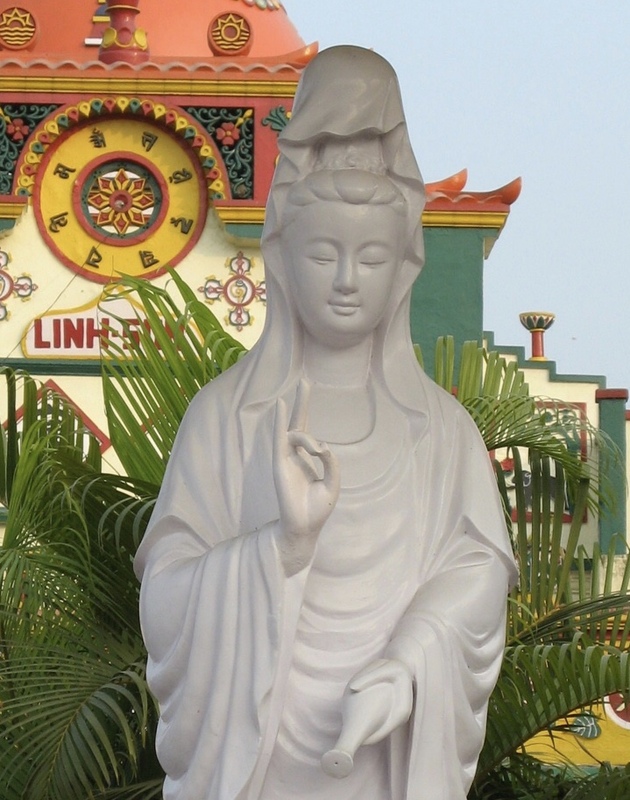 Perhaps we can be inspired by Quan Yin. 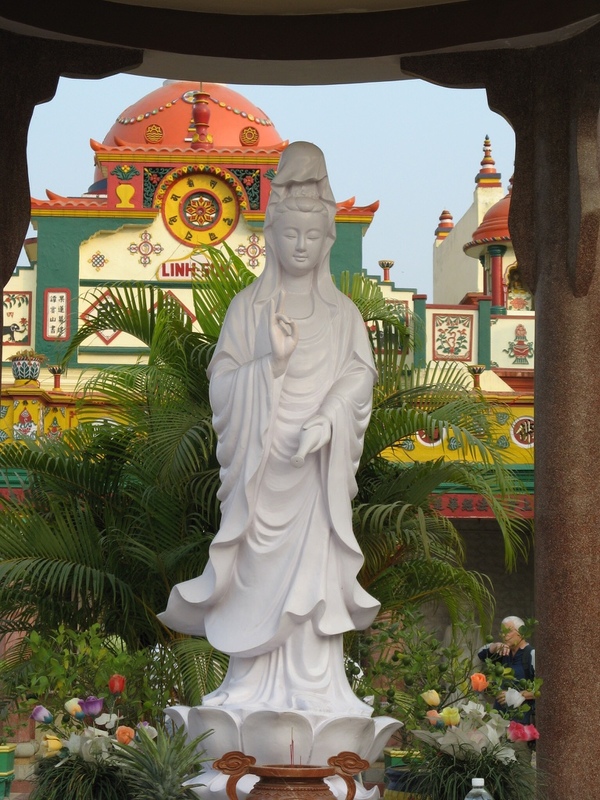 Pictured in this statue at a Chinese temple in Kushinigar, the town in India where the Buddha died, Quan Yin is the bodhisattva (enlightened being) of compassion. She is said to have a thousand eyes and ears so that she can see and hear the cries of the world. Her great heart holds us with loving energy, asking us not to turn away from suffering. The vase she holds is symbolic of water, which purifies us and removes suffering. Though hard to see clearly, her right hand is probably in the mudra (gesture) that bestows patience. 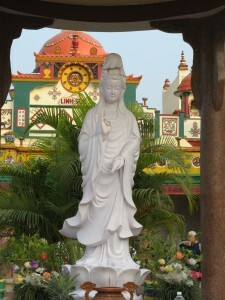 May you be held in this boundless compassion and in turn transmit it to all beings everywhere. This entry was posted in Asia and tagged Compassion, Grief, Suffering. Bookmark the permalink.